Many of us want lush, green lawns all year. So watering is an important part of a healthy, green lawn. It is important to know the advantages & disadvantages of day versus night watering. Daybreak or just before dawn is the ideal time to water your lawn. Evaporation is at a minimal & the rising sun will quickly dry the grass, reducing the likelihood of disease. Daytime is also a good time to water your lawn. You can pour on generous amounts and allow it to soak in. The blades of grass dry quickly, minimizing the risk of plant disease. The major disadvantage is this takes more water. Evaporation steals a portion of the water you apply before it can soak in and reach the grass roots. Nighttime watering or early evening seems like the most convenient time to water our lawns. The major disadvantage of this is the water will not soak into the grass at this time; it will only sit on top of the blades of grass, therefore providing a breeding ground for molds & fungus. Did you know that rain falls at about 19 miles per hour? The best time to water your lawn is when it is raining. Often summer rains are to light to add any real benefit to your lawn. Having your sprinkler on at this time will help the water to get down to the roots. This is only good for light summer rains, not thunder storms or heavy downpours. The best advice is to water your lawn deeply once or twice a week. Apply 1 – 1 ½ inches water each time. (Place a tuna can on your lawn, when the tuna can is full you have applied enough water.) Deep watering allows the moisture to reach the deepest roots. Daily light watering will cause the roots of your grass to become dependent upon you to provide the water it needs!! So train your lawn before it trains you!! 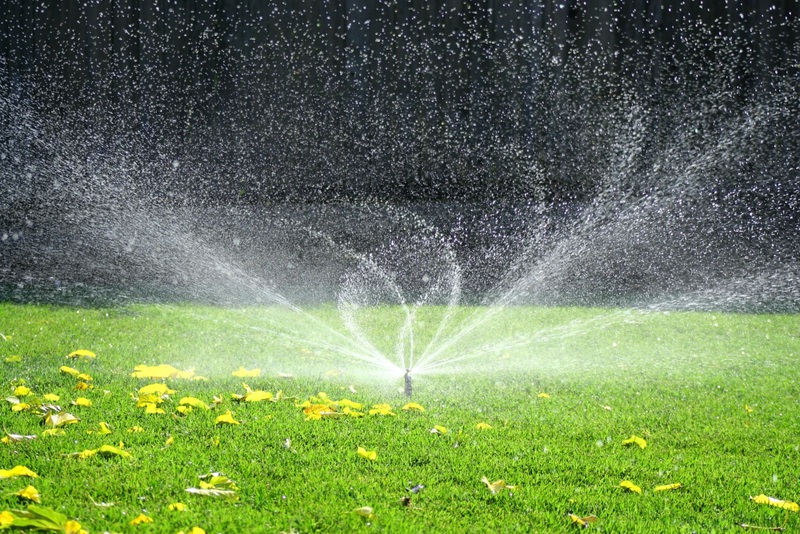 To help conserve water use, keep your lawn at 2 ½ – 3 inches long.